I don’t normally have reason to ride through the eastern part of the CBD, but the other day I did need to, to get out to an exhibition in Moore Park. I sort of followed my nose, and by happy chance found myself on the College Street Cycleway. I bowled along merrily, enjoying the respite from the city traffic. My otherwise happy mood was somewhat darkened by my reflections on the future for that particular cycleway. Successful though it is, carrying thousands of cyclists a day (far more people than are carried by the adjacent traffic lane) today is the day it starts to be ripped up, sacrificed to the motordom-worshiping ideology of the NSW state government. Even before the current government took power, the now roads minister, Duncan Gay, was pretty forthright on his views on bicycles. Basically, he sees them as toys, a nuisance, something that gets in the way of ‘proper’ traffic. He’s also fairly soft on public transport. No, the proper role for his department, and vision for the metropolis of Sydney, is to squeeze as many private cars into it as possible, to the detriment of everyone else who is merely ‘getting in the way’. The solutions he has come up with for this are various, but include narrowing already crowded footpaths, banning car share spaces, building eye-wateringly expensive motorways that terminate at some of Sydney’s most choked streets, forcing cyclists to register and, of course, ripping out cycleways. Oblivious to the international consensus on urban planning that transcends political boundaries and sees cities such as London, New York, Seoul, Paris and Montreal embrace enhanced access for pedestrians, cyclists and public transport, Duncan Gay bowls on relentlessly, throwing out one-lines about ‘latte-sipping chattering classes‘ whenever he is challenged. It’s enough to make you weep. And get angry. Still, for today at least, you can feel better by going for a nice calming ride along College Street, admiring the views of the park and the cathedral. Enjoy it while you can. Almost a year to the day since this incident, I today experienced another rather unpleasant situation on the roads. I wasn’t hit, but was somewhat spooked. I was riding up Burns Bay Road this morning – traffic was moderate, although had bunched up a bit around me because of a red traffic light half-way up the hill. Then I heard a car behind me start on the horn. Then it got closer and closer. And sounded the horn again. And then got really close, the driver gesticulating for me to move over. Move over to where, I’m not exactly sure, as there was no way she was going to get past without going into the other lane. More the the point, I wasn’t going to head into the gutter so she could try and squeeze by anyway. It’s a little hard to judge, but I reckon she was around 50cm off my back wheel at the closest. I could hear the engine right behind me, and honestly thought at one point she was going to clip my back wheel. Which, of course, would not have been pleasant. As in ‘serious injury’ not pleasant. ‘Move over. You’re going to get killed!’. As the eagle eyed of you will have spotted, I do have footage of this incident. Yes, I have joined the legion of cam-toting cyclists, and not that long after the last incident equipped myself with a rear-facing camera – a Cycliq Fly6. I will do a review of it in due course – I’d meant to do it a while back, but not got around to it. After reviewing the footage once I got to work, I took myself off to the local police station to report the incident. As I could see it, there were three possible offenses being committed – driving too close to the vehicle in front, incorrect use of the horn and aggressive driving. I showed the footage to the Constable on duty, and whilst sympathetic and interested, initially he told me there was nothing he could do. I held my ground, and asked to speak to his superior, and after some discussion it was agreed that I could make a report. The key in all of this was agreeing that I was prepared to go to court; once this was established it all became much easier. Was there a bit of fobbing me off initially? Perhaps, but I have to say once we were over that, the police could not have been more polite and helpful. I made my statement, he took the footage, and promised to call me back with more information. True to his word, he called me later that day. He had spoken to the motorist, who initially had been dismissive and aggressive, but once was told that there was video footage suddenly became rather more cooperative and contrite. He had also asked the traffic division to look at the footage, to see what the best course of action would be with regards to charges. Here things were a little less successful. ‘Misuse of the horn’ was virtually impossible to get past a magistrate, in their opinion. Tailgating was a possibility, but the difficulty would be in proving just how close she got. We were travelling fairly slowly, and the prosecution would need to prove that she was so close to me that at those speeds she would have been unable to stop if needed. This they thought was tricky, as establishing exactly how close she was, and how fast I was travelling, was very hard to do from the footage – certainly it was unlikely to be solid enough to convince a magistrate (reasonable doubt and all that). Interestingly he said that had my rear wheel been in the shot, it would have helped tremendously – both to give perspective on the distance, and also to see the wheel rotation to measure speed. So there’s something to bear in mind – angling the camera down to take in the top of the rear wheel and the road behind you is a worth considering if you want the footage to stand up to court scrutiny. He was looking into predatory driving, but this was usually reserved for more serious offenses where people were actually injured. Again, he felt this would be tricky, as I would have to have felt like I was in mortal danger. Did I feel that? Well, a bit I suppose, but certainly nothing like I felt in the seconds before I was actually hit last time. He was still looking into this, but felt it was a long shot, and again unlikely to get up before a magistrate. So all in all, it’s unlikely that this will go any further. But in another way, I got the result I wanted. The driver got a somewhat confronting call from the police, and had to acknowledge her driving was far from perfect. Hopefully she’ll think a little harder next time. It was also an interesting exercise to understand how the police work on these types of matters. I felt the police were diligent and helpful, and explained to me clearly the problems they foresaw in proving the case in court – which ultimately is what dictates their actions on what, if any, charges to lay. So top marks to Constable Taylor of Chatswood Police station. That it should be so hard to get any offense proven is I suppose an indictment of the way the system works, but also helps to clarify where the problem lies. Yes, I know some cyclists have had issues with police being uninterested in incidents of dangerous driving, but I suspect it’s actually more about the overall court system – which in turn is a reflection of our societal biases. Ultimately the police want convictions, and if the courts were more sympathetic to cyclists, the police would be putting more cases forward. That will happen as our overall society becomes more accepting of cycling as a legitimate form of transport that deserves protection against poor driving. Which will happen . . . . eventually. Perhaps? Angle the camera such that your wheel is visible in the shot. Helps to establish distances and speeds. Telemetry from a speed sensor is also great. When you make your statement, ensure you cover how scared / vulnerable / in danger you felt. Don’t ham it up, but don’t play it down. If necessary, be somewhat persistent. But always be polite and respectful. In an unconnected matter, I needed some new cleats recently, so went to my LBS to buy some. Up until now, I’ve always used the yellow ones. These are the ones that have the most ‘float’; which is to say you can wiggle your feet around in the pedals even when clipped in. However, with my new pedals I’ve been struggling to get the cleat positioning correct such that it’s comfortable to pedal, but I can also unclip easily. It was suggested to me that, possibly counter-intuitively, cleat placement was actually easier with cleats that have less ‘float’. 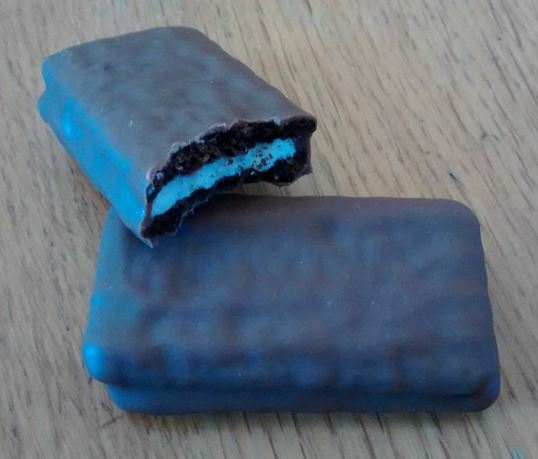 So I bought some blue ones, which have a little bit of float, but not as much. 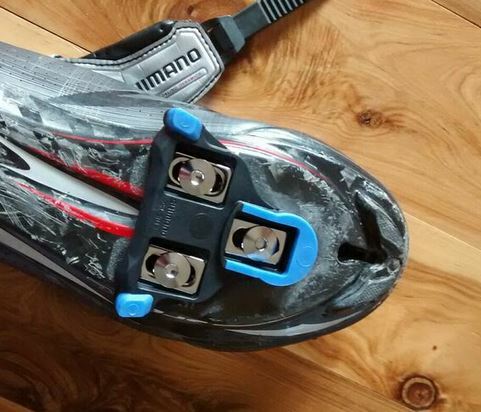 And, lo and behold, it turns out to be true – they are more comfortable and also easier to get out of the pedals. Hurrah! Another holiday read plucked from the shelf of a rented holiday house. This accessible biography of Jules Verne was actually quite entertaining. He led an interesting life; initially not really sure what he should be doing so filling his time with voracious reading covering many topics of science and geography. After some failed attempts at scientific adventures of his own (such as building a huge hot air balloon) he finally turned his hand to writing fiction, and the rest, as the say, is history. His breadth of knowledge on all matters scientific meant that his fiction had a solid basis in real fact, and many of the fantastical machines he created in his imagination – from submarines to videoconferencing – are of course now real and everyday. (There’s an article here covering many of them). In that sense he was a true science fiction writer, constructing worlds which relied on the laws of physics, rather than the now rather more fashionable fantasy writers who rely on magic and agency. The funny thing about this book, interesting though it was, is that it was written in the mid nineteen-sixties; a time of great technological excitement. It is sprinkled with gushing predictions, such as ‘and in a few years, when regular space traffic is established, we will see even more how Verne’s predictions were correct‘ and so forth. 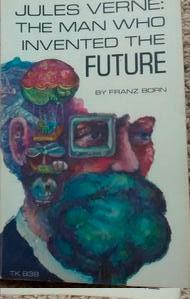 It seems Verne was somewhat more adept at predicting the future than his erstwhile biographer..! Coconut is a surprisingly strong flavour. When we were travelilng in South-east Asia, we would often buy pineapples from roadside stalls and markets. They were usually beautifully carved with a spiral groove running around them which removed the hard ‘eyes’ without loosing any of the fruit (we can never be bothered at home, and just cut off the skin really thickly. Such western decadence). Anyway, sometimes, they seemed to taste strongly of coconut. We finally learned this happened when the pineapple trees were planted next to coconut palms – the flavour actually transferred from one plant to another via the roots. As Mrs Chillikebab doesn’t really like coconut, this was not always welcome. I think these are rather good. (Thank goodness. My faith is restored, after some rather second rate efforts…). I’m going to give these a seven out of ten.